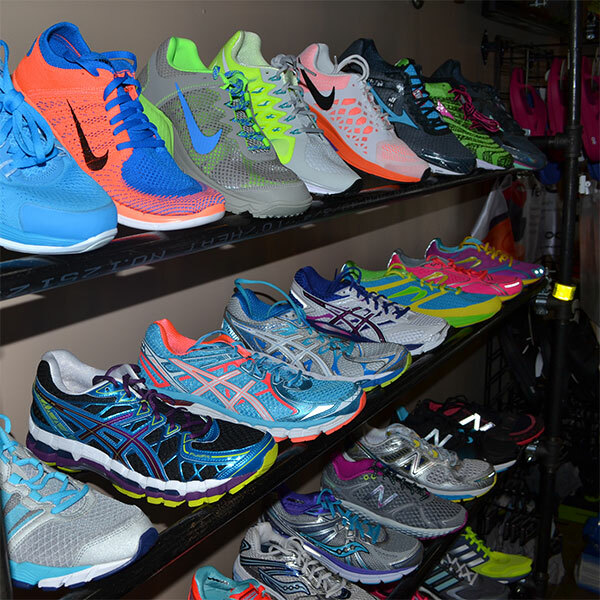 Running Excels is a specialty running store that features high quality athletic footwear, apparel and accessories. Beverly Lynch opened the original store in historic Beverly on the far South side of Chicago because she love the feel of the community! Her second Running Excels store in south suburban Frankfort closed in July 2016. Beverly began running together in 2004, two to three times a week, two to three miles at a time. And this spark ignited a passion that led her to complete 16 marathons–including five Boston Marathons–fifteen half marathons and numerous 5k’s and 10k’s. While running, she discovered that not only could she control her fitness level and reach satisfying goals, but also that running just feels good. Through these experiences, she came to respect all levels of walkers and runners. You are all an inspiration! Even though running is considered an individual sport, at Running Excels, we believe it can create a community. We want to not only run, but our hope is to bring people of all fitness levels together. That’s why we offer our Tuesday, Thursday, and Saturday group runs/walks. We also have a Kids Running Club that teaches children the basics of the sport. Every runner and customer is special to us. We pride ourselves in individual customer service and ensuring the proper fit for shoes and clothing. with us at Running Excels. We also invite you to visit our website, including Community, Resources, and our upcoming Events and Races. We are dedicated to the communities we serve and believe that local businesses are critical to keeping them strong. We are members of the Beverly Area Planning Association, the Frankfort Historic Business Association, and the Independent Running Retailer Association. We are a Share Your Soles donation site, a sponsor of numerous local running events, and a benefactor to local charities including the Maeve McNicholas Memorial Foundation and the Heart Connection Family Bereavement Program at Little Company of Mary Hospital. Most important of all, we are here because we run! Interested in employment at Running Excels? Click here!